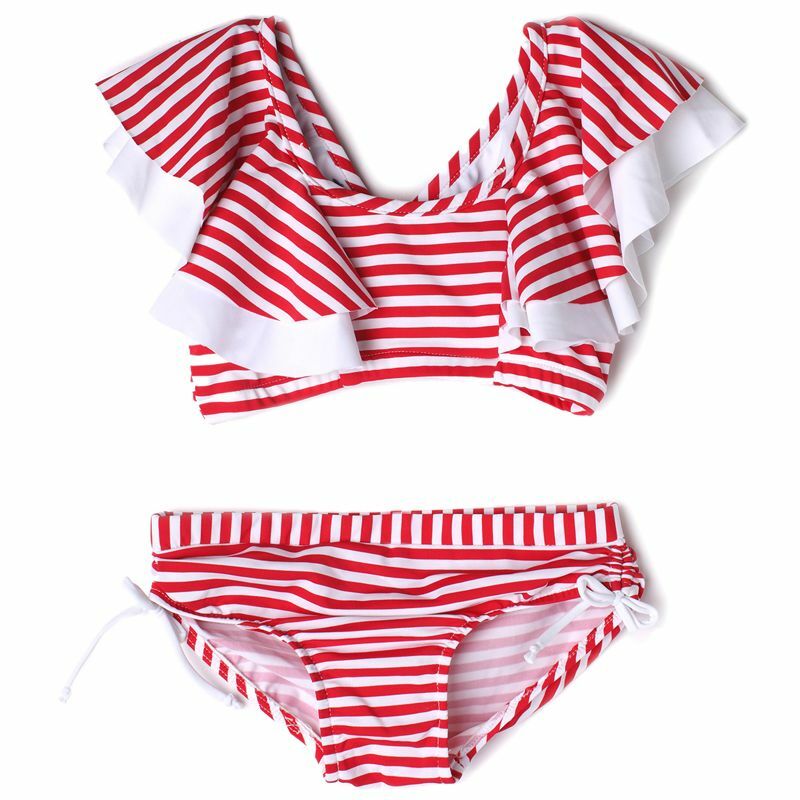 This two piece swimsuit might be the most perfect suit! It has the perfect amount of coverage for our growing girls and on trend style. It has a red and white stripe pattern and double layers. The Cape Town swimsuit has ruffle shoulders that are absolutely amazing and provide extra coverage from the sun. Now shipping in sizes 4, 5, 6, 6X, 7, 8, 10, 12 & 14.